The N8 AgriFood programme combines world-leading multidisciplinary research and translational capabilities to respond to the global challenge of food security. Our mission is to influence changes in agrifood and environmental policy and practice. Our vision is to have established and recognised international collaborations in agrifood research and innovation across the N8. We achieve our vision by focusing on collaborations with China, USA and Argentina that also benefit Middle and Lower Income Countries. Our strategy rests on the six values in the heart of the programme: collaboration, expertise, growth, leadership, prosperity, recognition. We strive to be leaders in international research and innovation in agrifood and to be recognised as such. N8 AgriFood has organised outgoing and incoming missions to and from all strategic geographic areas, thereby we increase the programme’s visibility and the opportunities for international exposure of the individual N8 institutions. We achieve this through our regular and long-term engagement with the FCO’s Science and Innovation Network and other government departments such as BEIS and DIT. N8 AgriFood aligns with several of the UN’s Sustainable Goals. 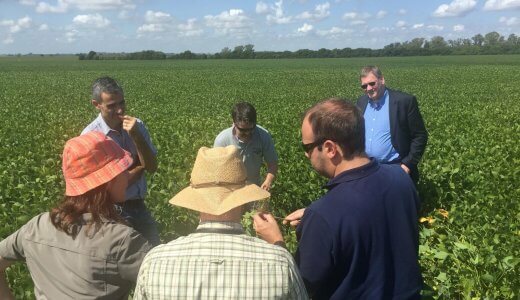 In October 2017 N8 AgriFood representatives visited the USA, hosted by the UK Science and Innovation Network in Chicago and the Consul in Minneapolis. 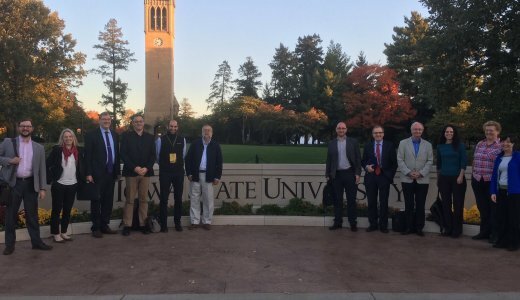 N8 AgriFood formed part of a bigger UK delegation which was invited to attend and present at the 2017 Borlaug Dialogue International Symposium, in Des Moines, Iowa from 18 to 20 October 2017. N8 AgriFood presented on “Translating Research into Farmers Benefits” , a special side event organised by the UK Science and Innovation Network and the 2Blades Foundation. Before going to Des Moines, N8 AgriFood, hosted by Jan Bauer, the British Consul in Minneapolis , met with researchers from the University of Minnesota. While in Des Moines the delegation also had the opportunity to visit the Iowa State University College of Agriculture. The N8 AgriFood group consisted of: Professor Steve Banwart, Dr Claire Quinn, Dr Sally Howlett and Dr Peter Walley. The N8 AgriFood Resilience Programme has been actively engaging with various Chinese stakeholders with the support of the Science and Innovation Network of the British Embassy in Beijing since 2016. N8 AgriFood was part of the Sino-British Memorandum of Understanding signed between the China Rural Technology Development Centre (CRTDC) and Innovate UK for collaboration in Agritech innovation. Since then, the programme has been engaging with CRTDC and have already welcomed two CRTDC-funded delegations from China to the UK, in 2017 and 2018, for bilateral talks, site visits to N8 institutions and to attend our 2018 N8 AgriFood Conference in Liverpool. For the CRTDC collaboration we have identified the following research priority areas: Precision Agriculture, Food and Nutrition, Animal farming and livestock. In March 2019, a group of N8 academics visited China to expand the remit of collaborations with CRTDC and other prospective partners to include work on Theme 2 and Theme 3. There are currently five externally or locally funded N8 AgriFood projects with Chinese partners, and the programme has active collaborations with, among others, the Jiangsu Academy of Agricultural Sciences (JAAS), Tsinghua University, Zhejiang University, Henan Chinese Agricultural University and China Agricultural University. In March 2017, eleven representatives from across wide-ranging discipline areas spent a week in Argentina. The visit encompassed visits to INTA (Instituto Nacional de Tecnología Agropecuaria) and the Universities of Buenos Aires and Rosario, but also included networking with representatives from another 4 Argentinean universities and some 18 private sector organisations operating in the agri-food area in the country. The group also visited one of the largest grain-handling ports in Argentina, as guests of Louis Dreyfus, to see first-hand the scale of operations and to learn more about the complexity of local and international logistics in the agri-food sector. Discussions were held at the end of the week with representatives of the Ministry of AgroIndustry, the research organisation CONICET and the Ministry of Science Technology and Innovation to discuss next steps. Having identified a number of specific areas of overlapping interests in practical areas (catchment area water management and rural farming livelihoods to name just two), there was unanimous agreement that a reciprocal visit to the UK should be organised later in 2017. Following inbound visits from agri-food researchers and UK embassy staff in Brazil during early 2016, a reciprocal visit by N8 AgriFood personnel was undertaken in September 2016. This included guest lectures and extensive discussions at the University of São Paulo (São Paulo and Piracicaba campuses), with the N8 AgriFood presentation shared electronically live with other remote campuses across the region. 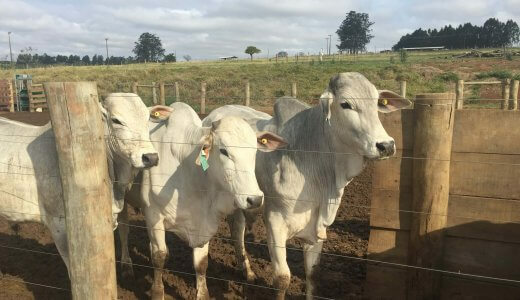 The delegation also visited Embrapa’s São Carlos field station to view the extensive cattle-breeding and rearing developments taking place in Brazil. The visit to Brazil concluded with discussions in Brasilia with UK embassy staff, Brazilian research organisations and representatives of the Inter-american Development Bank. These seminal ideas for collaboration are now being evaluated further by N8 AgriFood and Brazilian researchers, with a view to specific project applications.